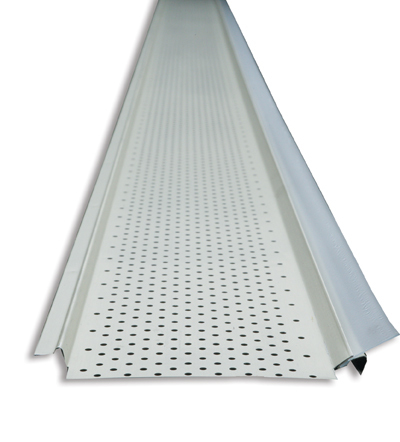 Aluminum eavestroughs: A non-rusting metal used in the fabrication of eavestrough, typically 5″ in size. Aluminum Fascia: A cladding material that covers the existing wood fascia making it maintenance free. Aluminum Soffit: A cladding material that covers the existing plywood soffit making it maintenance free. Comes in vented and non vented. Cladding: A term typically used to describe the covering of wood such as window trims, soffit or fascia with maintenance free aluminum. Counter flashing: A visible flashing attached to a vertical surface to prevent water from migrating behind the base flashing. Condensation:The conversion of water vapor to liquid state when warm air comes in contact with a cold surface. Click to view frost in the attic. Coursing: The rows of shingles running the length of the roof. Cricket: A roof component used to divert water away from chimneys, walls, or other roof penetrations and projections. Also referred to as a saddle. Click to view cricket. Curb: A frame used to elevate and support skylights, HVAC units, exhaust fans, hatches or other pieces of mechanical equipment above the level of the roof surface. Dead Valley: An area on a roof that causes water to pool or not drain away efficiently. Deck: The surface to which the roofing is applied. Usually consists of plywood (3/8″ – 1/2”) or 1″ x 6″ or larger boards. 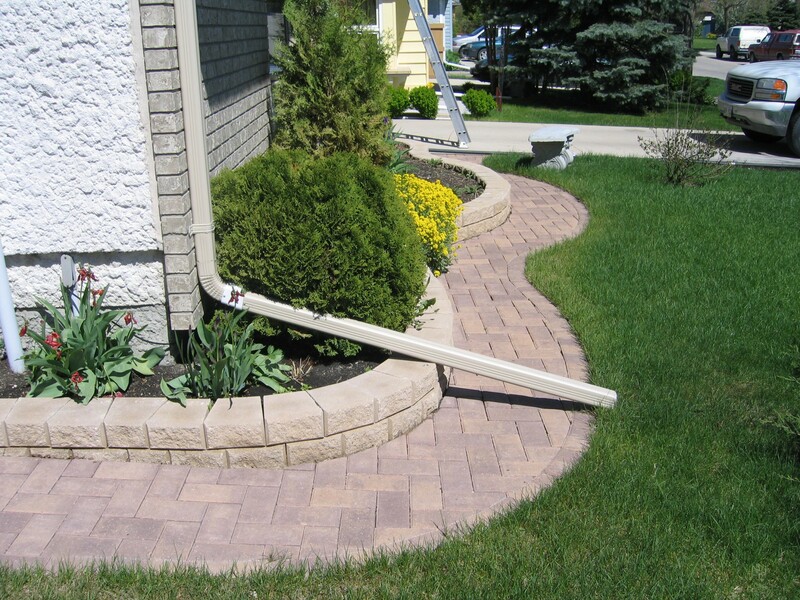 Downspout: A pipe for draining water from eavestroughs. 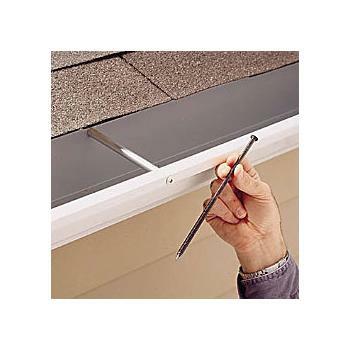 Drip Edge: A metal flashing that is placed under the shingles which is used to help direct rain water into the eavestrough. It can also serve to maintain the integrity of the shingles at the eaves edge. Eaves edge: The edge of the roof where the water drains towards. Eavestrough brackets (eavestrough): a bracket that is used to attach the eavestrough to the fascia. It hooks into the front of the eavestrough and clips over the back of the trough giving the trough greater support and holding power. Brackets have replaced the old spike and ferrule system. Eavestrough protection screen: A device installed onto of the eavestrough to keep it from getting plugged by leaves and debris. Unfortunately, most designs simply do not work and in some cases make the problem worse. Eavestrough protection foam: soft porous foam sections that are installed inside the eavestrough itself. Unfortunately, most designs simply do not work and in some cases make the problem worse. Click to view eavestrough protection foam. Exhaust Ventilation: One part of a ventilation system used to exhaust air out of the attic. 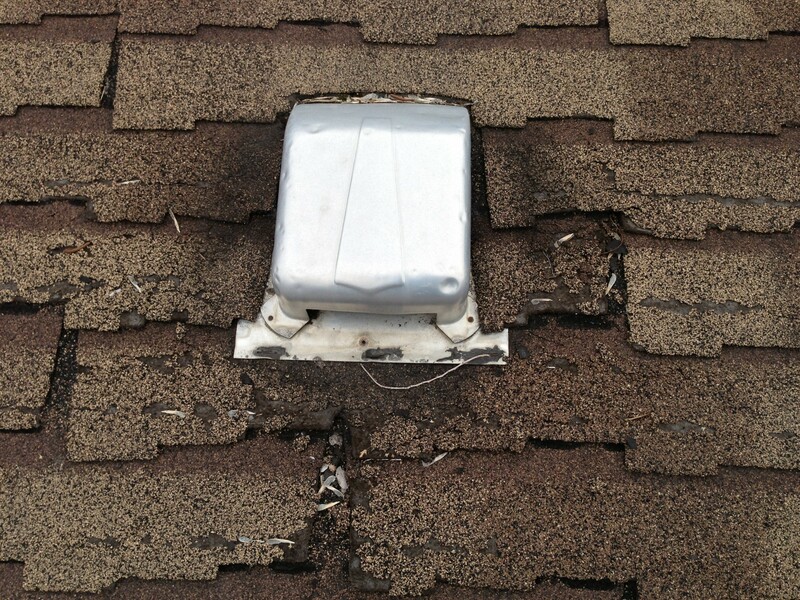 Usually vents installed on the roof or on the gable ends are considered to be exhaust vents. 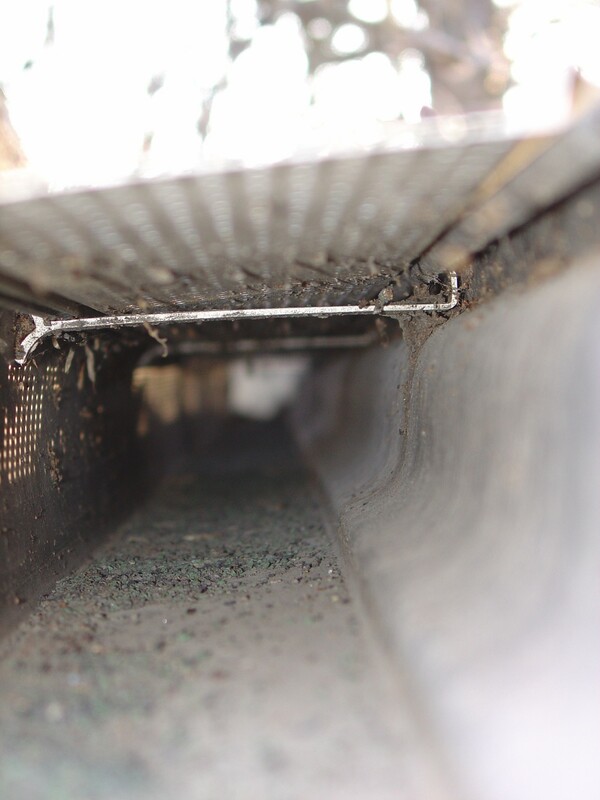 Intake vents are usually found underneath the soffits. Exposure: The portion of the roofing material exposed to the weather. Fascia: The board, usually a 1 x 6 or 1 x 8, located along the perimeter of a building, usually below the roof level. The eaves fascia is where the trough would be attached and the gable fascia would be found on the gable end. Felt: Generally referred to as #15 felt paper or tar paper which is used as an underlayment beneath shingles. Flashing: Pieces of metal used to prevent seepage of water into a building around any intersections or projections in a roof such as vent pipes, skylights, chimneys, adjoining walls, dormers and valleys. 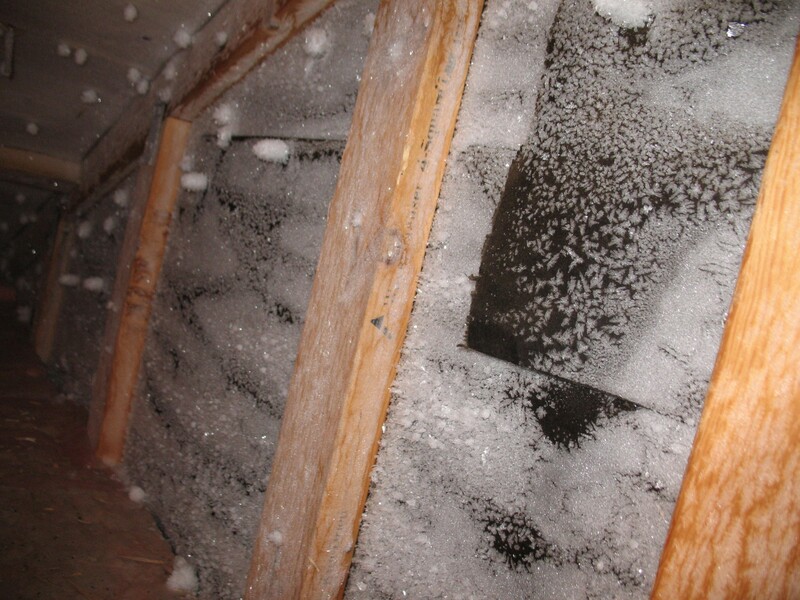 Frost in attic: A very common occurrence in Winnipeg in the winter time. A small amount is normal. Click to view frost in attic. Gable: A triangular-shaped portion of the end wall of a building directly under the sloping roof. Ground extension: Section of pipe that attaches to the outlet at the end of a downspout. It can be made of various materials depending on the application. Click to view ground extension. Gutter Clean eavestrough protection system: is an eavestrough protection system that uses Alu-Perf technology to cover your eavestrough. It prevents leaves and debris from getting in and clogging the eavestroughs and down pipes. Click to view gutter clean. 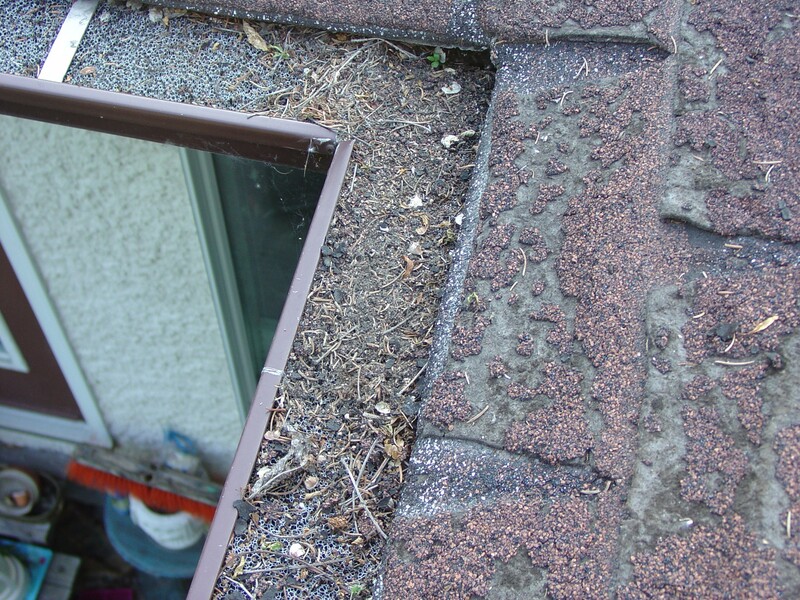 Click to view gutter clean after 5 years in service . Hip: The point where two inclined planes meet other than at the peak. Hip Roof: A roof that rises by inclined planes on all sides of a building. Ice Dam: Ice formed at the transition from a warm surface to a cold surface, such as along the overhang of a house. 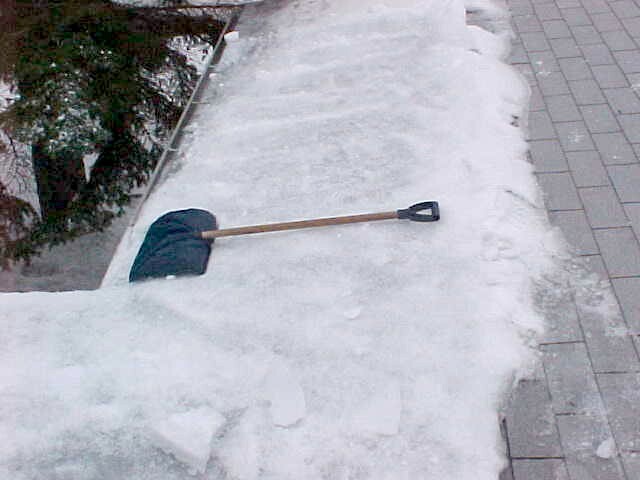 The build-up of ice is the result of ice or snow melting on the roof area over the warmer, living area of a building and then refreezing when it runs down and reaches the overhang which in turn can back up and cause a leak. Click here to view ice dam. Ice and Water Membranes: A peel and stick rubberized membrane commonly used on eaves edges and valleys as a superior water proofing treatment. Ice and water membranes comes in many different brand names. Intake Ventilation: One part of a ventilation system used to draw fresh air into the attic. 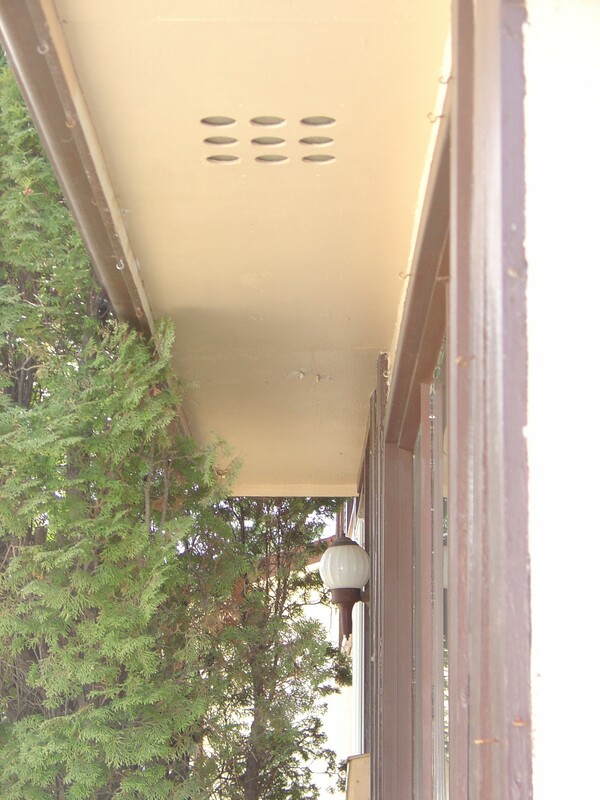 Usually vents installed in the soffit or along the eaves of a building are considered to be intake vents. 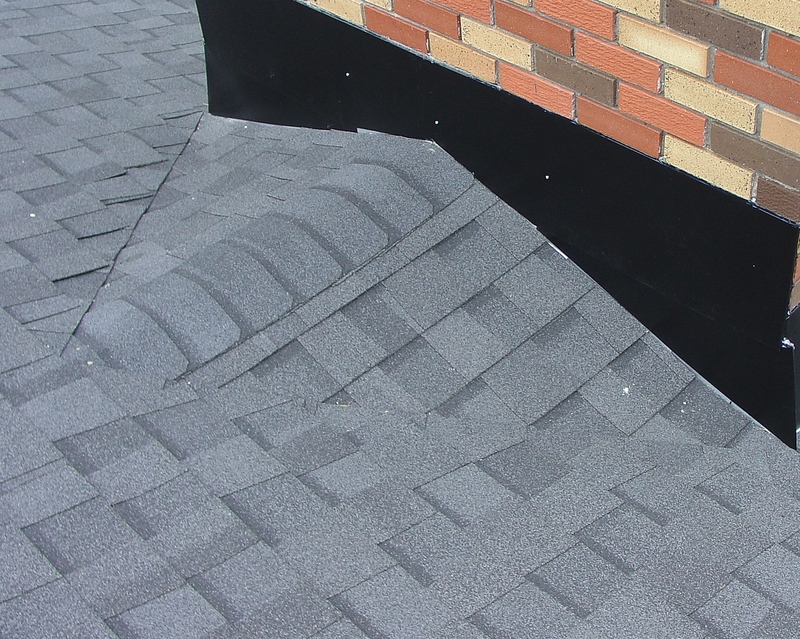 Key lines: Pattern lines in the shingles that run up the plane of the roof that can appear straight (straight key lines) or offset (offset key lines) when an individual tabbed (3, 4 or 5 tab) shingle is installed. Click to view straight key lines. Laminated Shingles: Designer shingles that have two layers glued together to achieve a 3D effect. 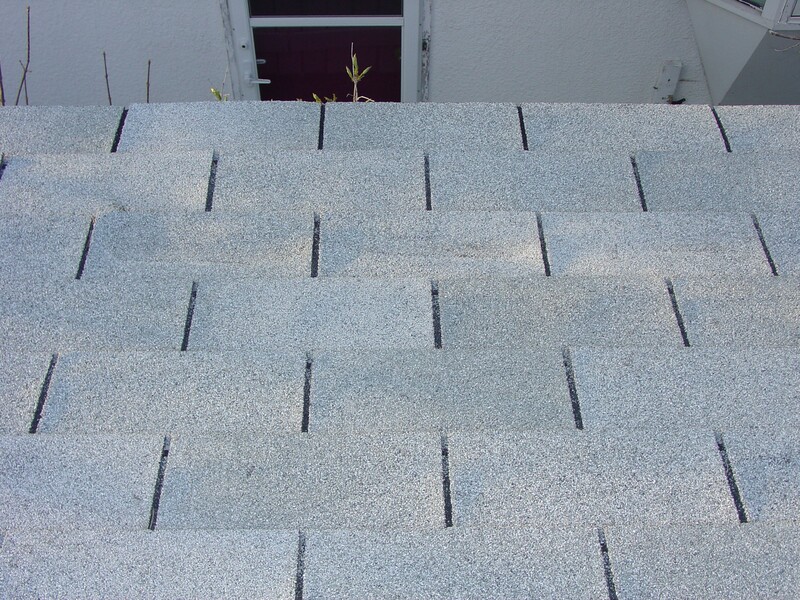 Low slope application: Method of installing shingles on roof slopes between two and below four inches per foot. Mansard: An extremely steep sloped roof or wall. OSB: Oriented Strand Board or aspenite – Often used as roof sheathing in place of plywood. Over Exposure: When the exposed portion of the shingle is more than the recommend amount. Picture Framing: Visible imperfections in the roof deck or underlayment that telegraph through the shingles. Pitch: Term used to describe the pitch or slope of the roof. A 2/12 pitch is a low slope roof, a 4/12 pitch is a walkable roof whereas a 12/12 pitch is a steep roof. Also see roof slope. Prorated: Most shingle warranties are prorated on a declining scale down to zero. R-Value: The measure of a material’s resistance to heat flow. The higher a material’s R-value, the more it insulates. Thermal Resistance (R): The formula for Thermal Resistance is R = L / k where (L) is the material’s thickness and (k) is the material’s Thermal Conductivity constant. 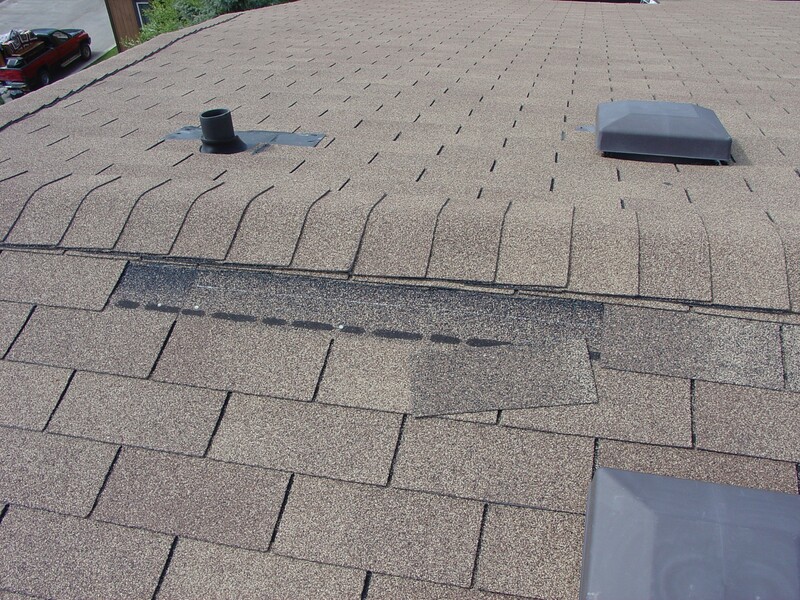 Release tape: A plastic strip that is applied to the back of self-sealing shingles. This strip prevents the shingles from sticking together in the bundles and isn’t removed during the application of the shingles. Ridge Vent: A horizontal exhaust vent installed on the peak of the roof usually running the length of the roof line. Roof Slope: The angle of the roof expressed as the amount of vertical rise for every twelve inch (12″) horizontal run. For instance, a roof that rises four inches (4″) for every twelve inch (12″) horizontal run is expressed as having a “four in twelve” slope; often written as “4:12.” The roof slope is also known as the pitch of the roof. RV28 exhaust vent: The RV28 is specifically designed to vent a kitchen or bath fan. It exhausts approximately 5″ off the shingles and is less prone to forming ice dams in front of it under normal winter conditions. Click to view regular exhaust vent.Click to view RV28 exhaust vent. Saddle or cricket: A peaked saddle construction at the back of a chimney to prevent accumulation of snow and ice and to deflect water around the chimney. Eliminates pooling of water behind an obstruction. Click to view saddle. Sheathing: Exterior grade boards or plywood used as a roof deck material. Slope: The angle of incline of a roof expressed as a ratio of rise to run. Also referred to as the pitch. Soffit: The finished underside of the eaves overhang. Soffit can be either vented or unvented. Soffit Vent: An intake ventilation device located in the soffit. 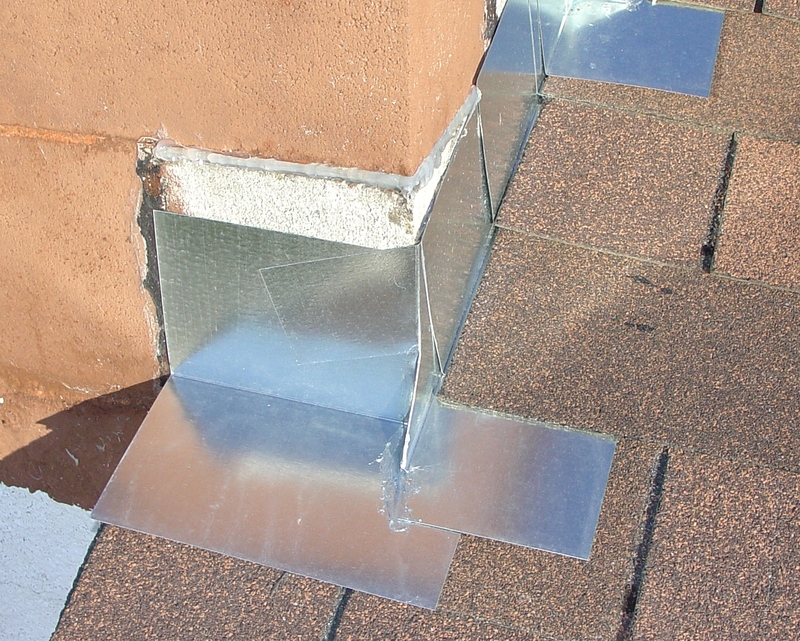 An exhaust vent should be installed on or near the ridge of the roof to work in conjunction with the soffit vent in order to properly ventilate the attic space. The ratio of intake vent area to exhaust vent area should be 1:1. Click to view soffit vent old style. Spike and Ferrule: A spike and metal sleeve used to attach eavestrough to the fascia. These have been replace by a bracket system. Click to view spike and ferrule. Stack Conversion: Converting the existing cast plumbing stack to ABS and replacing the old lead flashing with a rubber flashing making the roof both cosmetically pleasing and more functional. Starter Strip: Shingles applied at the eaves underneath the primary shingles that provide protection by filling in the spaces under the cutouts and joints of the first course of shingles. Step flashing: Flashing application method used where a vertical surface meets a sloping roof plane. Click to view step flashing. Tar paper: Generally referred to as #15 felt. Three tab shingles: A type of shingle consisting of three tabs. These types of shingles are not as commonly used anymore. 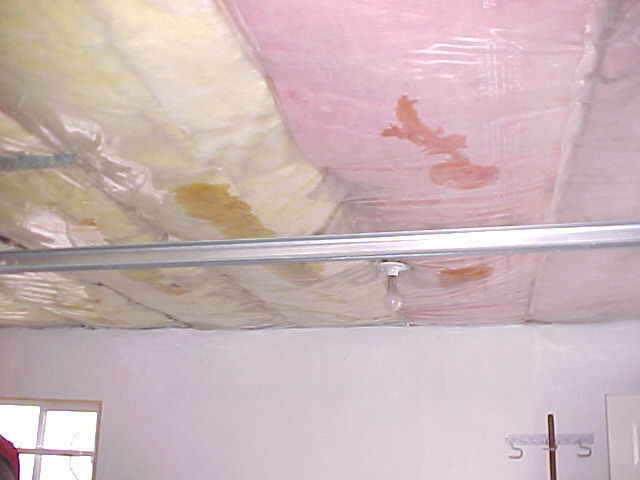 Underlayment: A material installed over the roof deck prior to the application of the primary roof covering. Usually consists of fifteen (#15) pound organic felt but can also be self-adhering ice and water membrane or a synthetic underlayment. Valley: The internal angle formed by the intersection of two converging roof planes that provides water runoff. Wall Flashing: A flashing used to prevent water from entering at a roof wall intersection. Window Cladding: A process of cladding the existing wood frames with aluminum to make them maintenance free. Wind damage: an area on the roof that the wind has blown the shingle (or other roofing material) off is commonly referred to wind damage. Click to view wind damage. Wood Rot: When the decking or wood that the shingles are fastened to has become rotten and requires replacement. Extensive wood rot may require more extensive structural repairs to the framing members.